When the eyes of the world were firmly focussed on South Africa as they became the first African country to host the FIFA World Cup in 2010 they sent out a loud and clear message that the apartheid troubles of the past are well and truly behind them. It was also highlighted that the country has so much more to offer than just wildlife and mountain scenery, so here are some of the key picks on what else to enjoy. Just because the country has moved on in steeps and bounds doesn’t mean they have ignored their troubled past. A visit to Nelson Mandela’s prison cell on Robben Island where he spent 27 years of his life in captivity is as inspiring as it is sad. The UNESCO World Heritage Site off the coast of Western Cape served as a place of banishment from the 17th to the 20th centuries and from 1961 it was used primarily to house those opposed to the apartheid government of the time. Today the island is no longer a prison and instead has been turned into a museum to share the stories and history of this great struggle. If you want to learn more about the history of apartheid, make sure you also visit the Red Location Museum in the New Brighton township of Port Elizabeth. South African wine has a history dating back to 1659 and its production is still booming today with many of the winelands all over the Western Cape attracting international appeal. 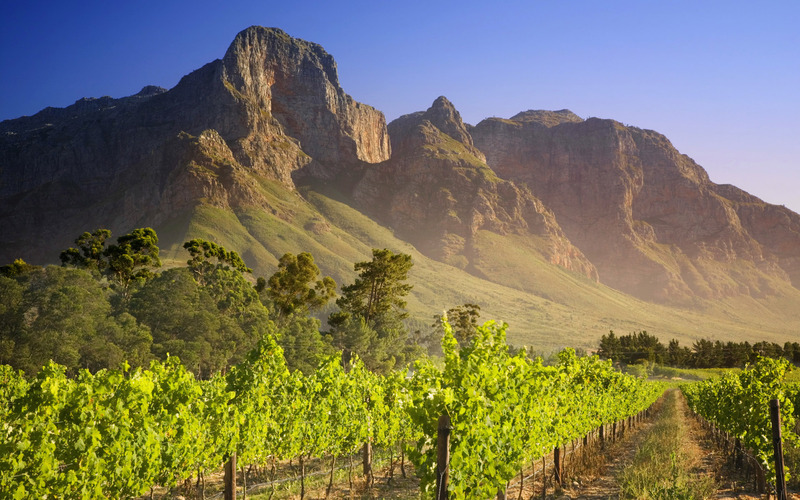 Make sure you visit some of the top vineyards in Franschoek – the wine capital of the Western Cape – to witness the most scenically beautiful wine growing region in the world. If you are interested in red wines you should explore the seven wards of Stellenbosch where some of the finest Cabernet Sauvignon, Merlot, Pinotage and Shiraz are produced. For white wine, you should visit Constantia – the oldest wine growing region in South Africa – where they grow a wide range of grapes including the popular Sauvignon blanc. Anything can be catered for; from a day trip at a vineyard to an extended stay learning about the production and sampling some of the products. Staying with the Western Cape region for a moment, the fabled Garden Route is one of South Africa’s main tourist attractions. Stretching along the Indian Ocean on the south coast from Mossel Bay to St Francis, this tour boasts stunning wildlife and untamed coastline. A perfect compliment to this route would be crossing over to Eastern Cape to visit the beautiful shores of Nelson Mandela Bay in Port Elizabeth. With over 40 kilometres of coast it has a multitude of Blue Flag beaches. Head to Hobie Beach for swimming or to The Pipe at Pollock Beach for world class surfing. If you visit during the winter, the cooler climate might reduce swimming opportunities but it will increase the chance of seeing whales swim along the Western Cape coastline. We are the first to admit that the iconic Table Mountain is without doubt one of the finest mountains in the world, but that’s not to say that it is the only one worth visiting in South Africa. The Drakensberg Mountain range in Durban offers some of the best hikes and treks that could compete with the best of them. The Ukhahlamba Drakensberg is a UNESCO World Heritage site and is a relatively new park combining a number of existing parks. Along the way you can stay overnight in the caves, explore the second largest waterfall in the world at the Tugela Falls and splendour over the beautiful backdrop of the amphitheatre. South Africa is a country that offers a tear-jerking insight into the battle against apartheid as well as being an adventure seekers dream and a sommeliers paradise. Whether you are looking for culture, history, adventure or relaxation – come to South Africa to be inspired.